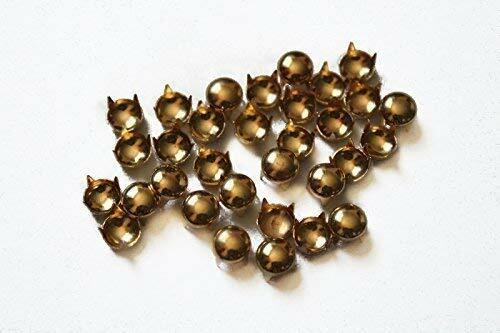 You are buying Nail Head Studs in Gold 5mm size. clothes, Jean, Bags, Jackets and belts. 5mm by 4mm in Gold Nail Head Studs.